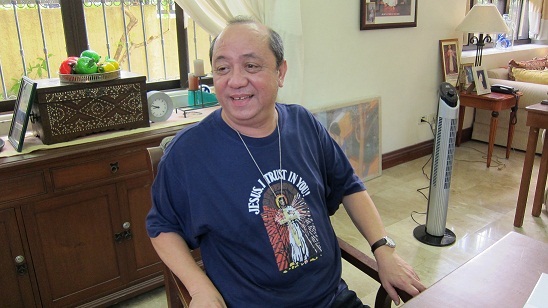 Stanley Villavicencio: How He Died and Lived Again – for Divine Mercy! There was excitement and disbelief in the air that morning of 2 March 1993 in Chong Hua Hospital, Cebu City. A man by the name of Stanley Villavicencio, who had been clinically dead for three days, “rose from the bed,” took off his dextrose and the endotracheal tube stuck into his nose – and walked away like a normal person. Three days ago, his heart stopped, he had turned blue from head to foot, and his vital organs showed no more signs of life. The doctors had asked the wife’s permission to take off all the life support apparatus attached to his body because they said there was no more chance of survival. His family therefore made all the necessary preparations for his burial. They made ready a long-sleeved shirt; his mother-in-law volunteered her memorial plan, including her coffin; Queen City Garden Cemetery was contacted. After a while, the Lord Jesus sent him back saying, “Go back there because you still have many things to do. If I have any message for you, I will just appear to you in a dream.” Thus, after three days, Stanley came back from the dead. But from then on, life was never the same again. 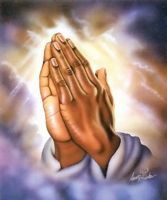 Through dreams and interior locution, the Lord Jesus has directed Stanley to propagate the devotion to the Divine Mercy. He has had over 30 encounters or conversations with the Lord. Jesus has also told him, “My son, you will witness My final coming”. Stanley’s case has undergone investigation by the Church and has been declared authentic. He has gained the support of Ricardo Cardinal Vidal and Msgr. Cristobal Garcia of Cebu, the latter acting as his Spiritual Director. From being an ordinary Filipino and a humble devotee of the Sacred Heart, Stanley has gone around the world giving talks on the Divine Mercy. Among the countries he has visited are the United States, England, Ireland, Hong Kong, Macau, and China. I have seen written testimonies of priests and lay people whose lives he has touched. His visits to churches have resulted in healings, confessions, even miracles. He has given his testimony in the Vatican before bishops and cardinals. Many people are now rising at 3:00 a.m. to pray the Divine Mercy. One person had not been to confession for fifty years, and was dreading the next occasion. After Brother’s (Stanley) talk she was full of joy and determined to go to confession the very next day! Others had been receiving Holy Communion for many years without formal confession – some have even had abortions – but on hearing Brother’s testimony, each agreed to seek confession at the earliest opportunity. Young women who had planned to abort their babies now changed their minds and wanted to keep them. An American had “chased” Brother Stanley all over the United States and in Ireland and finally caught up with him in Birmingham, England. This man was overjoyed to meet Brother Stanley. Stanley has also been to various provinces in the Philippines. Among the first to be converted through his experiences was the doctor who attended to him when he was clinically dead. A medical board top-notcher, this doctor entered the seminary to be a priest soon after Stanley’s death-to-life experience. I was able to listen to Stanley when he visited the Presentation of the Child Jesus Parish in BF Homes Parañaque just before Holy Week. He strikes listeners with his sincerity and straightforwardness. There are times when he speaks with so much conviction you can feel God’s strength and power in such a humble and ordinary person. Our church, he said, was the 4,779th place where he has given testimony. During the question-and-answer portion, a little girl came forward to ask him how the Lord Jesus looks. “Guwapong-gwapo!” (very handsome) he said. I remember all the saints who have left everything to follow God when they had their respective encounters with the Divine Majesty. Their extraordinary encounters made them extraordinary people. But the majority – we, the nameless faces in the crowd – are ordinary persons. Do we need a personal encounter with Jesus or a thunder-and-storm experience before we change our lives? We thank God for sending us a Filipino apostle of Divine Mercy. But let it also be said of us: blessed are we who have not seen – and yet believe! Click here to return from Stanley Villavicencio to Divine Mercy.